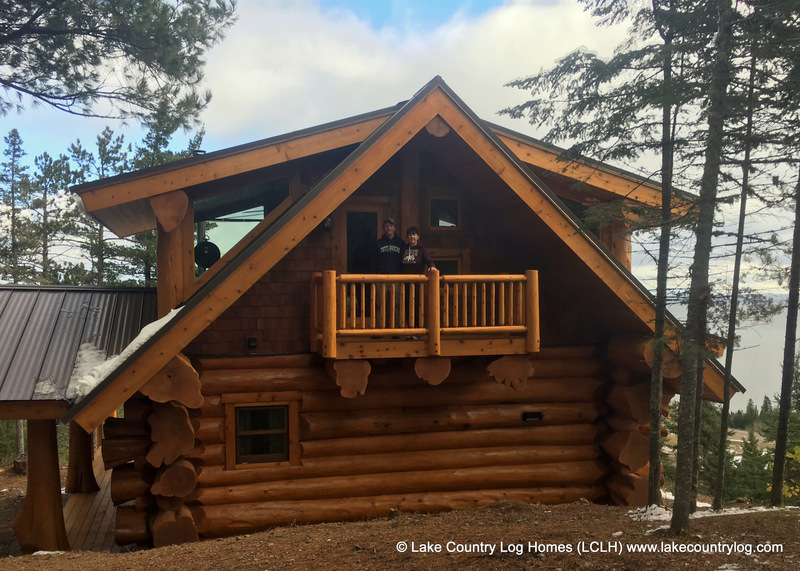 We consider ourselves very lucky to have found Lake Country Log Homes! We consider ourselves very lucky to have found Lake Country Log Homes. They were actually the fourth log builders we had talked to over a two year period, to build our dream cabin. It quickly became apparent the three other companies were more concerned with squeezing every dollar out of us, rather than building us the cabin we wanted. What sets this company apart is the honesty and integrity of its owners. They were straight forward with their pricing, and didn’t have hidden costs and bait and switch techniques, like the other companies. Throughout the building process Jaime was prompt in answering questions, and you instantly got the feeling that he was genuinely concerned about building you the best possible log home. When it came time to setup our cabin, between the 4 days of rain, 300ft incline and getting the crane stuck, then almost losing the crane down the mountain, Mike from Lake Country Log Homes kept his cool and did some serious problem solving. He rocked at directing our setup crew of 6 friends and 2 crane operators, in an outstanding job of getting our log cabin assembled in 4 days! It takes a leap of faith to choose a log home builder, you hand over your money and wait for the finished product. Our cabin turned out amazing! Rob and the builders did an awesome job of selecting and placing the flared Western Red Cedar Character logs. You can see the craftsmanship and attention to detail throughout. It was what we had envisioned and so much more. 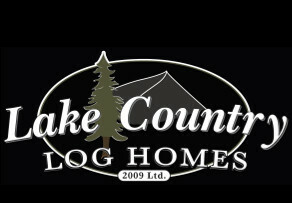 We highly recommend giving Lake Country a chance to build your dream log home!